Names that are "short and sweet" are often very desirable for a girl, especially in the middle name spot to complement a long first name. What are some viable names that only have one-syllable? I'm sure you can think of a few, but how many are full names and not nicknames? Let's see if we can list as many one-syllable full-names as possible! Let me know if I have missed any or if any should be removed because they are just too nicknamey. Although some may double as a nickname and a stand-alone name. This is where it gets tricky! For instance, you can be just "Gwen" but that could potentially be a nickname for Gwendolyn. I will include it anyway. These are names that would work on a girl, whether they're feminine or unisex. Click here to view the list of one-syllable boy names! However, there may be duplicates on both lists. Let me know if I have missed any or if some should not be included (and why!) If you're interested in short names, you may also love this list of 3-Letter Names or this list of 4-Letter Names for girls! If you need help coming up with first and middle name combinations that flow well, take a look at some of the naming services I currently offer! I suppose it depends on where you are from and how you say it. Sounds like one-syllable to me. Maybe 1.5. Several of these names are traditionally male and a few are more than one syllable if pronounced correctly (traditionally). Some of these names are traditionally male and several have more than one syllable if pronounced correctly (traditionally). The following, among others on the list, have demi syllables. 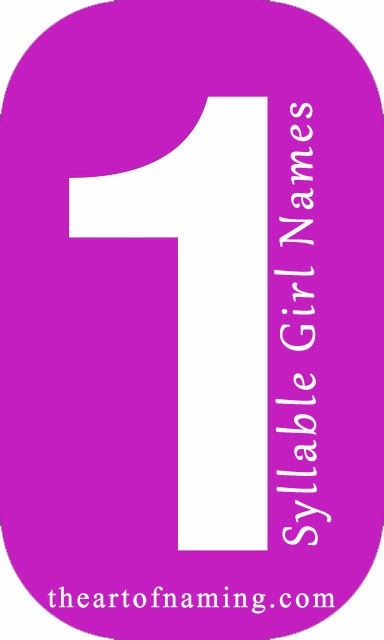 The Art of Naming: The Best Four-Letter Names For Girls!